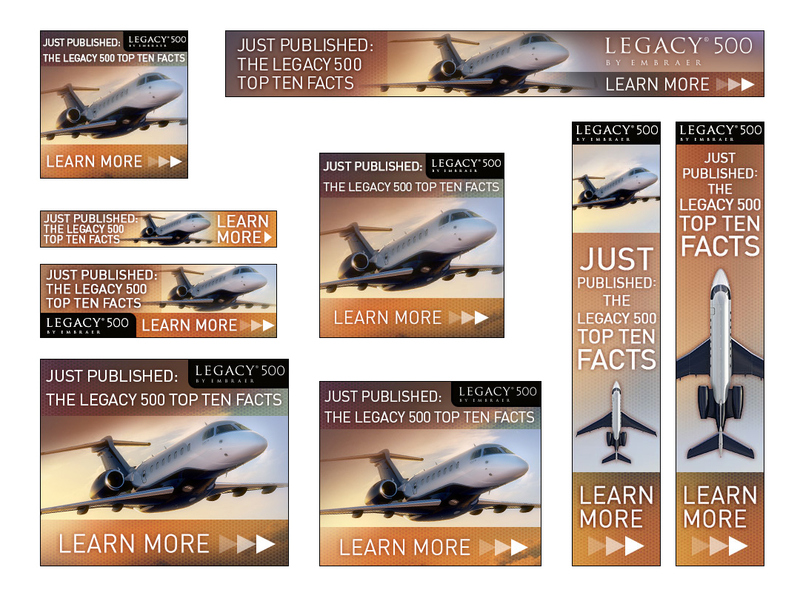 This web banner campaign raised awareness of the new Legacy 500 advantages and fly-by-wire capabilities. These ads eventually generated qualified customer leads (via Google AdWords). Multiple web banner campaign for Embraer Executive Jets Legacy 500.